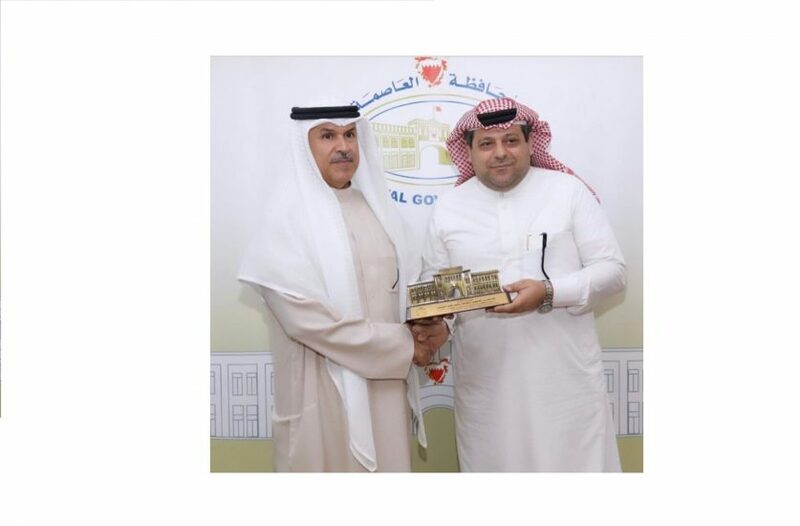 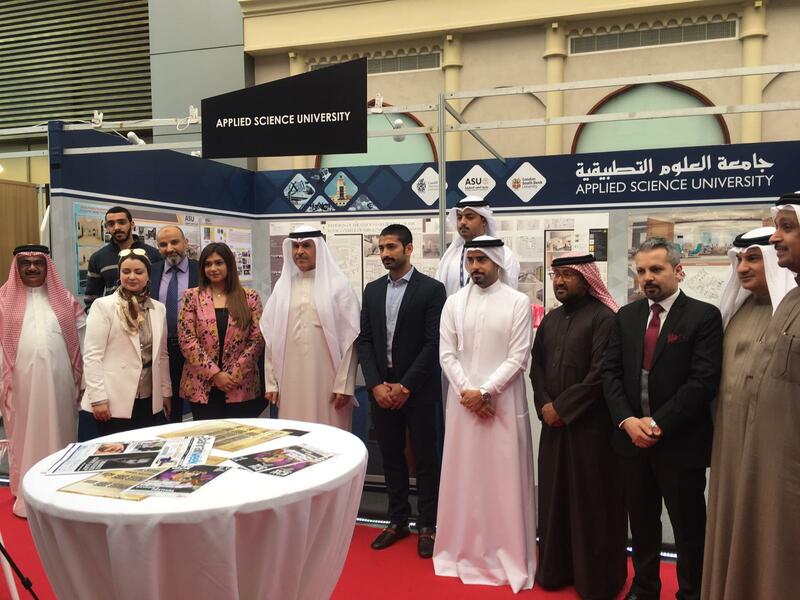 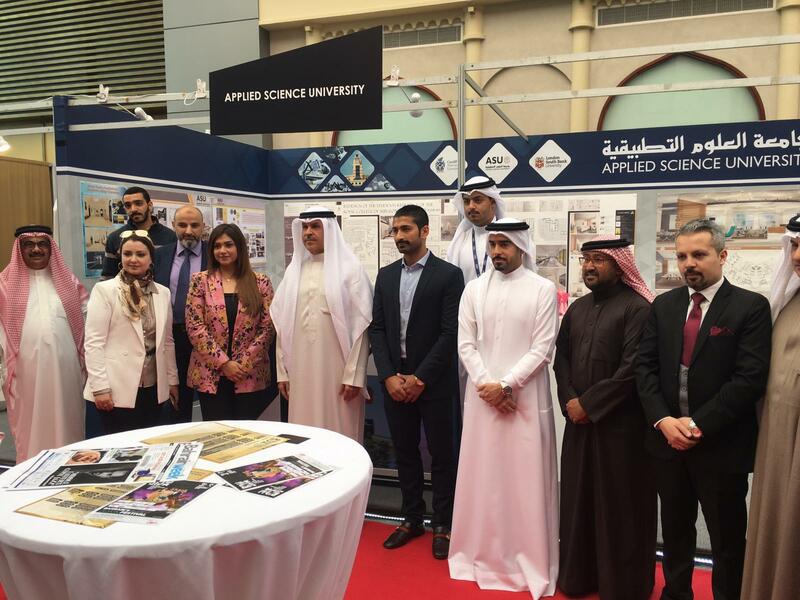 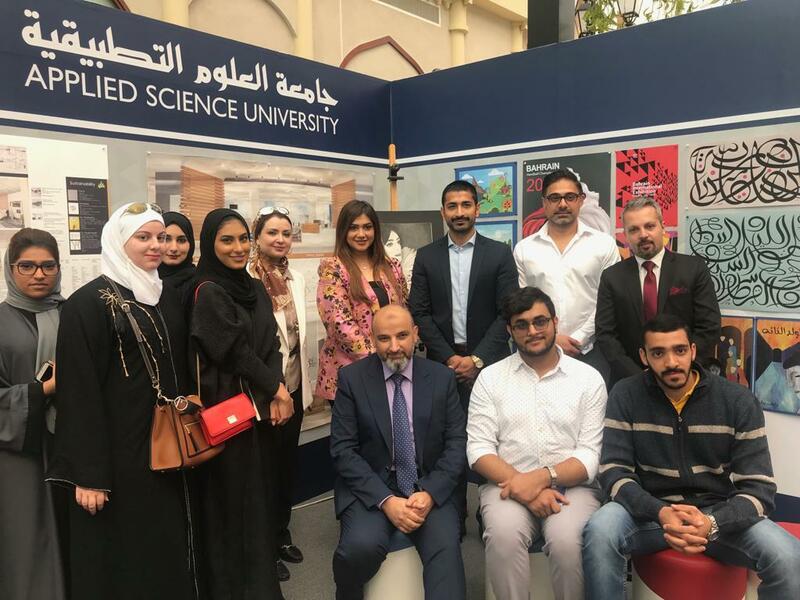 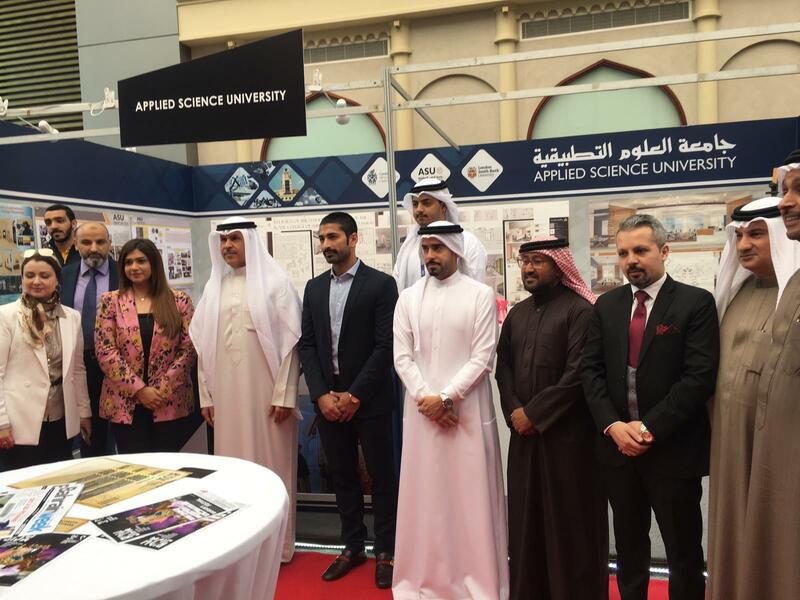 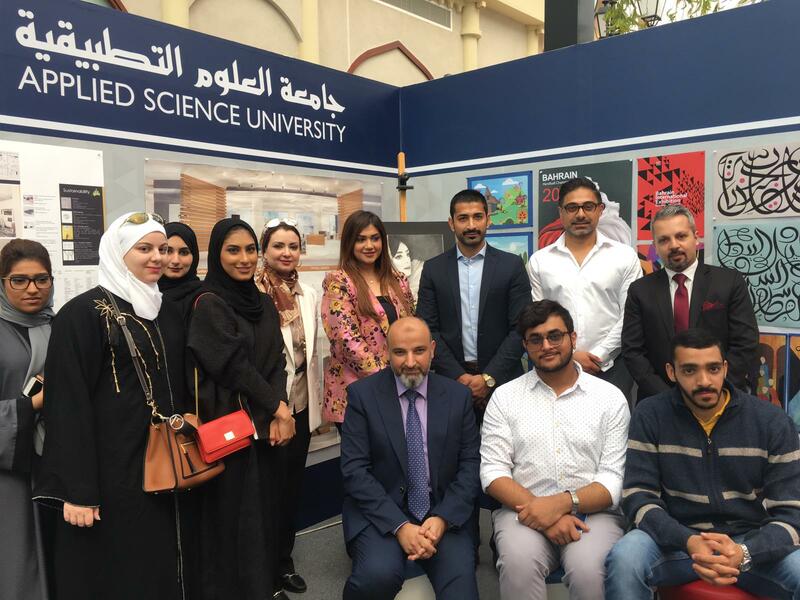 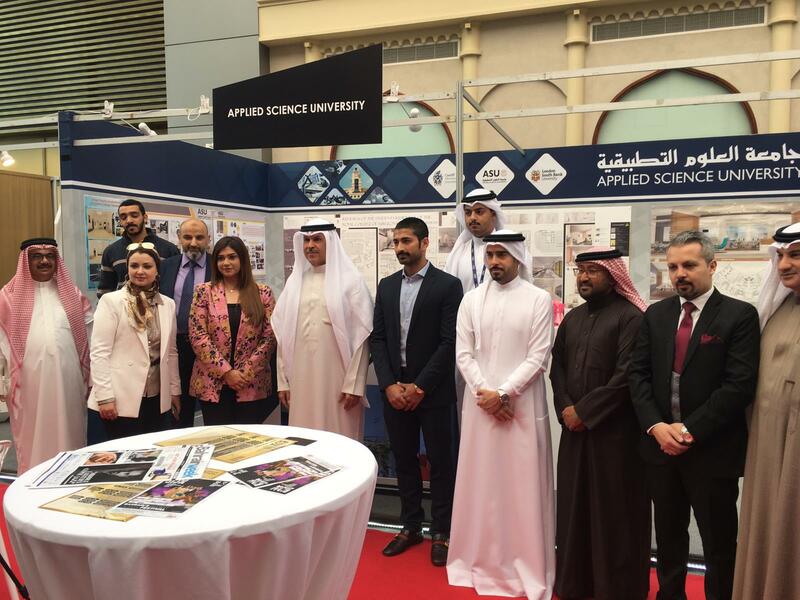 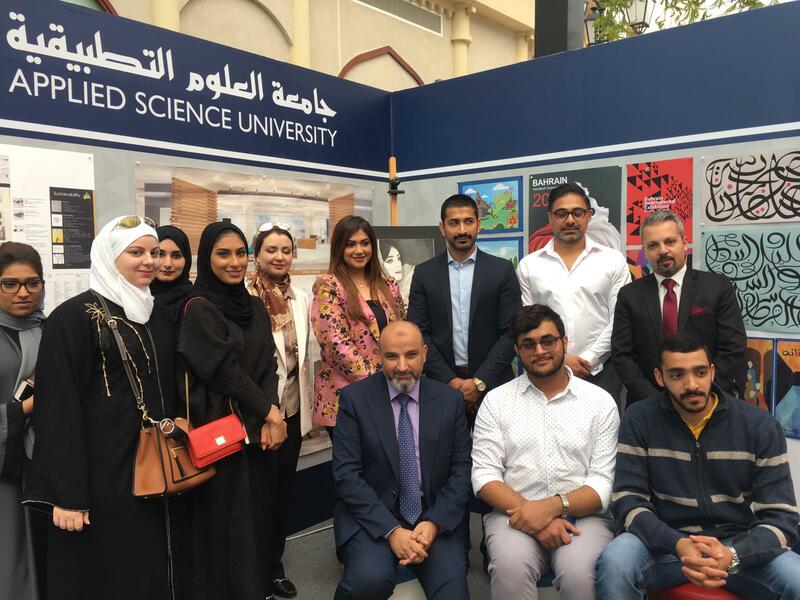 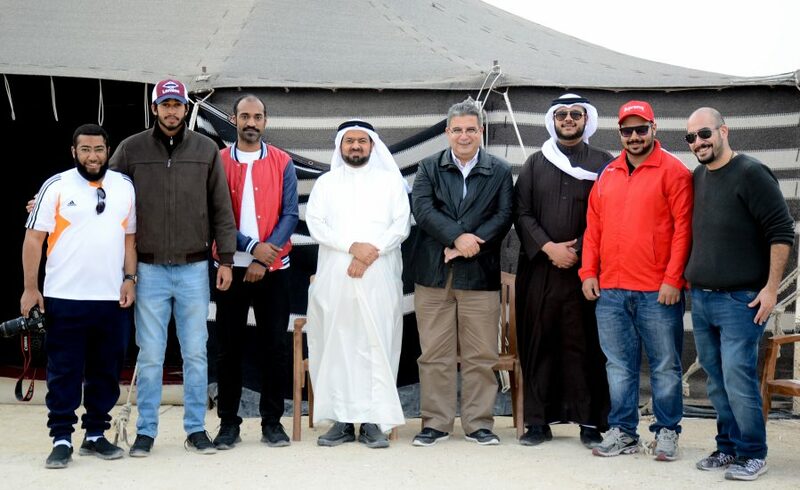 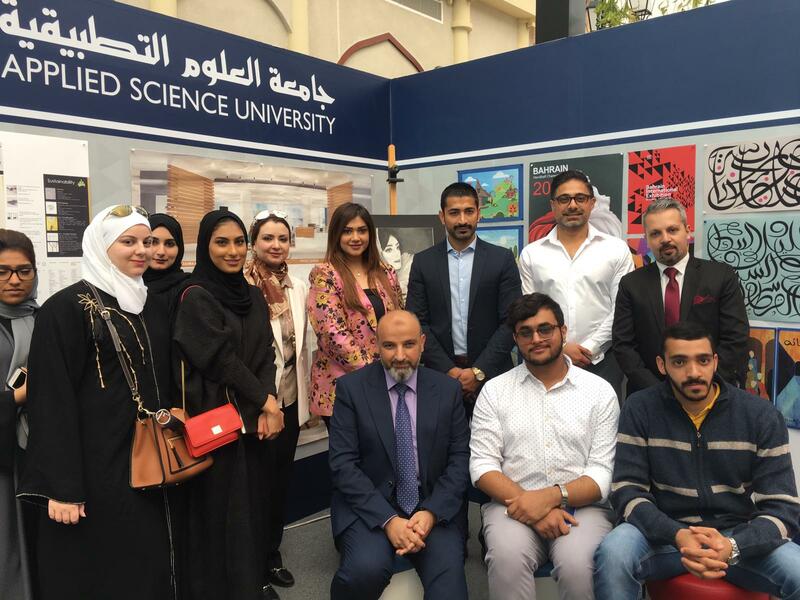 The Directorate of Marketing and Public Relations, in collaboration with the College of Arts & Science participated in BIDW “Bahrain International Design Week 2019” exhibition, which was held under the patronage of HE Shaikh Hisham bin Abdulrahman Al-Khalifa, the Governor of the Capital Governorate at the Avenues Mall, with the participation of number of leading artists and Interior designing firms. 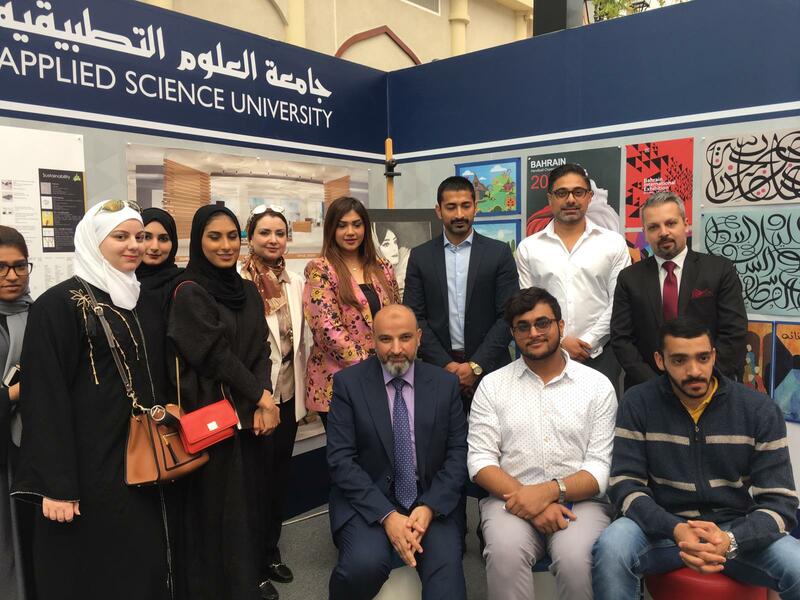 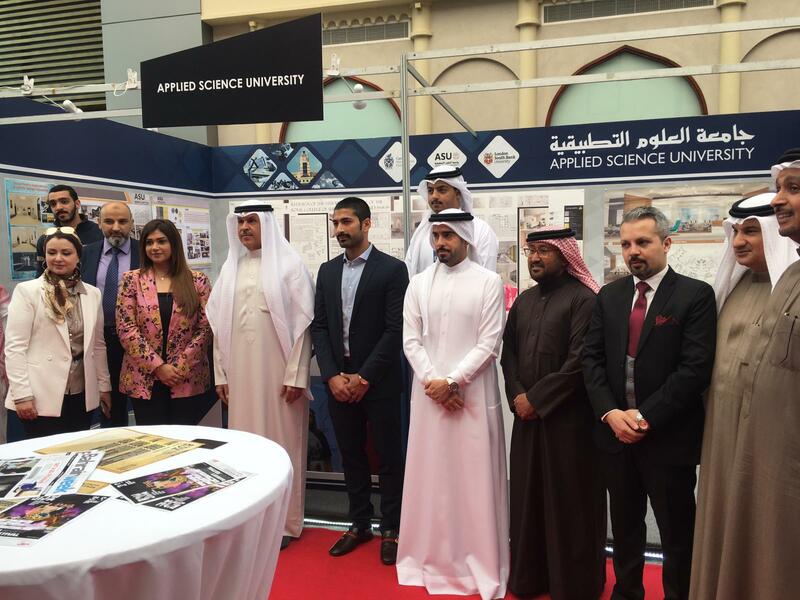 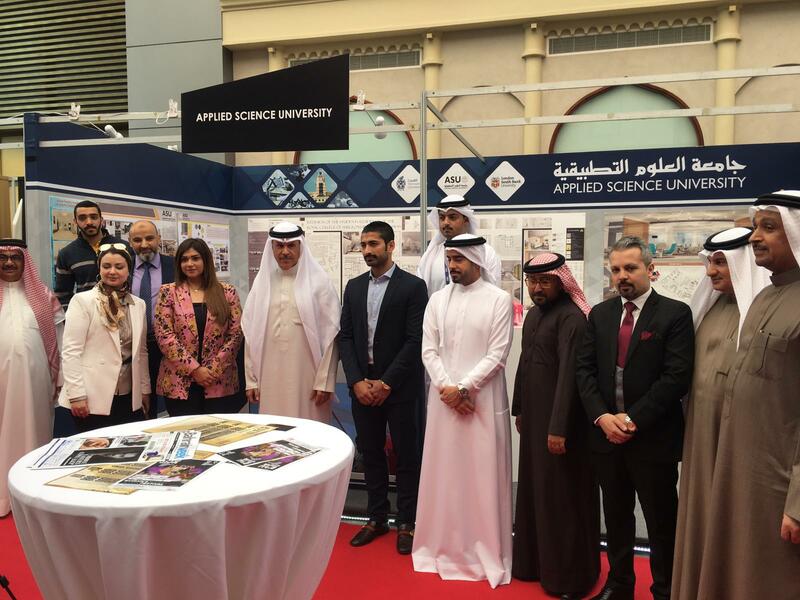 The Exhibition was inaugurated by the Governor of Capital Governorate in the presence of Ms Ruqaya Mohsin, the Director of Marketing of Public Relations; Mr Ali Mohammed, the Assistant Director; Dr Uday Aljuboori, the vice Dean of Arts and Science College; Dr Eman Elgewely and the Directorate staff. 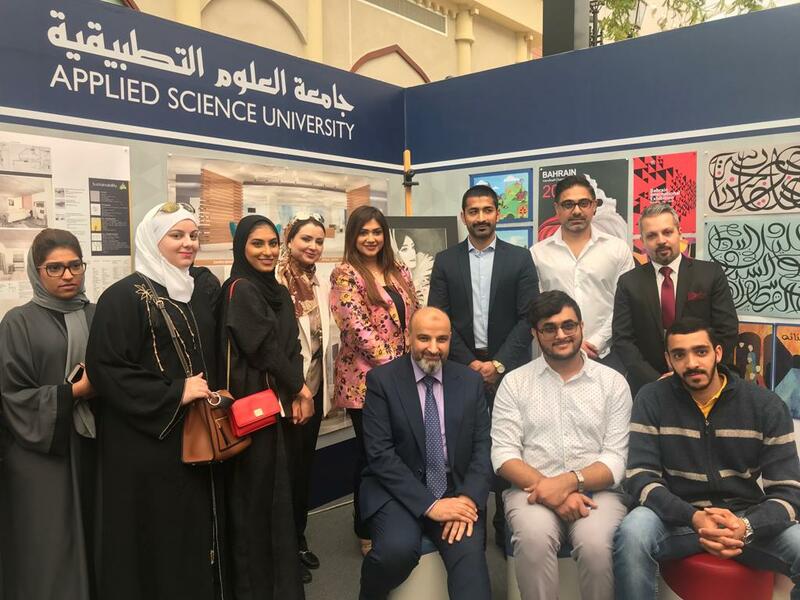 During the exhibition, the University promoted its students’ projects and artworks from the Interior Design and Graphic Design programmes under the guidance of Dr Uday and Dr Eman from the College of Arts & Science. 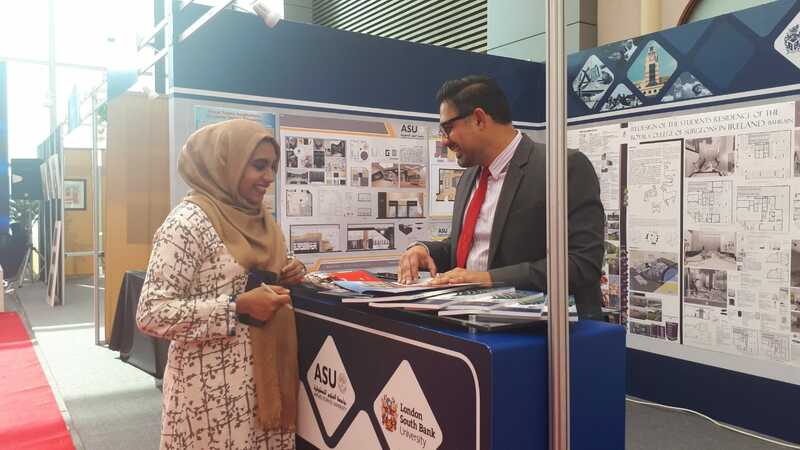 The event was an opportunity for the University to promote its academic programmes and provide career advice to those who were interested in ASU.